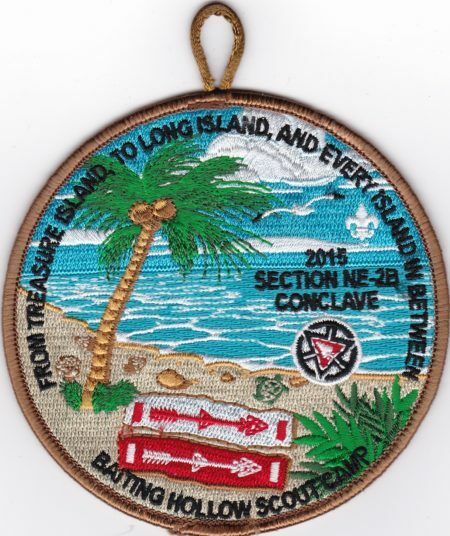 Another previously unlisted chapeter issue from Shinnecock Lodge #360’s Penataquit Chapeter. There have been several of these issues written up over the years. Most of them seem to deal with a winter program event of some source. 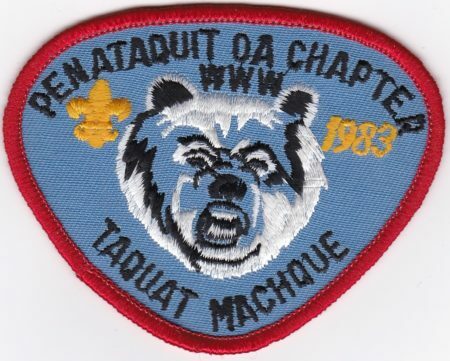 Taquat Machque loosely translates to Frozen Bear. 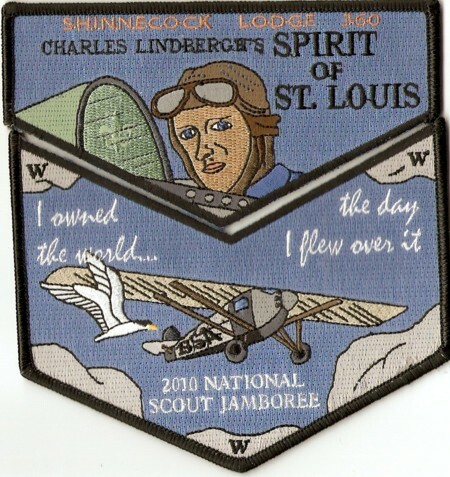 First up is the Jacket Patch, which shared a common design with the 4 versions of the pocket patch. Here are the 4 pocket patches which shared the same design but had different border colors. 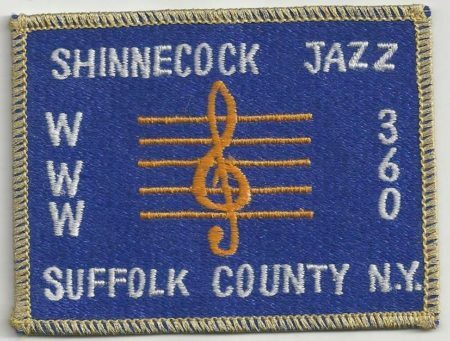 These patches are a 4 inch round. 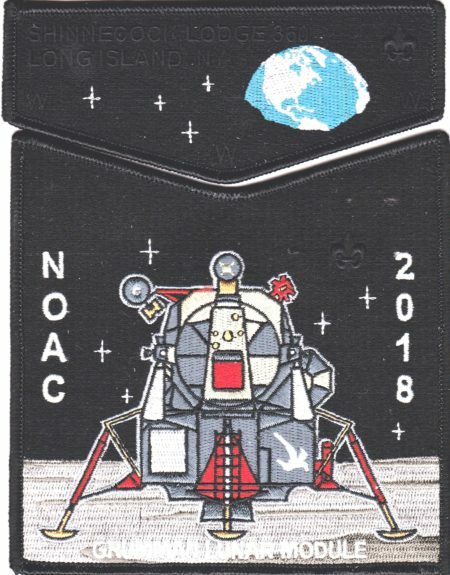 Shinnecock Lodge did just a single 2-piece set for the 2018 NOAC with the design of the Grumman Lunar Module after it has landed on the Moon with the earth in the background. I upped the Brightness and Contrast so it would make it a bit easier to read the Black on Black type. 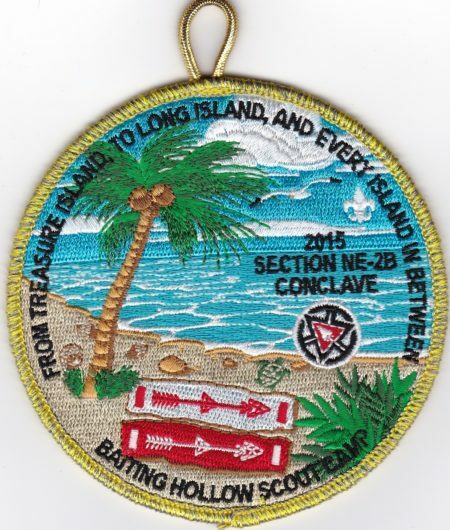 Wish more lodges would go back to a single set or flap for these National events. 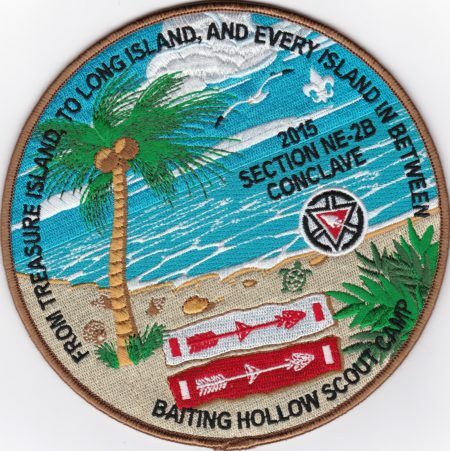 PatchScan says there were 250 sets issued. A recent addition to my collection, not currently displayed on OA Images. The scan is displaying the background a white, but it is really a light Grey. 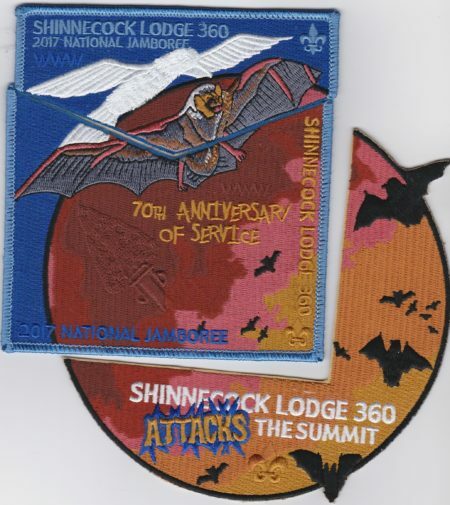 Shinnecock Lodge #360 issued a 3-piece set for the 2017 National Jamboree, which also celebrated the 70th Anniversary of the Lodge. 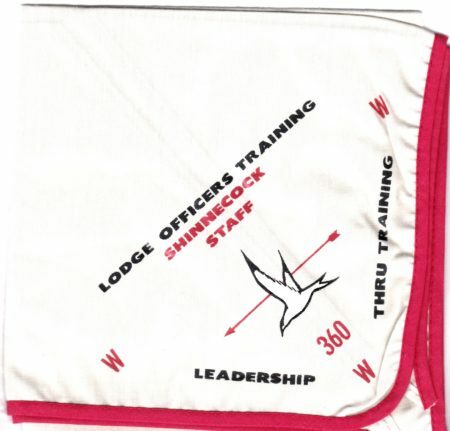 The lodge followed the Bat theme used by the Council as part of their Jamboree design. Seven years ago in 2010 we were starting to report about NYS OA Issues from the 2010 National Jamboree. 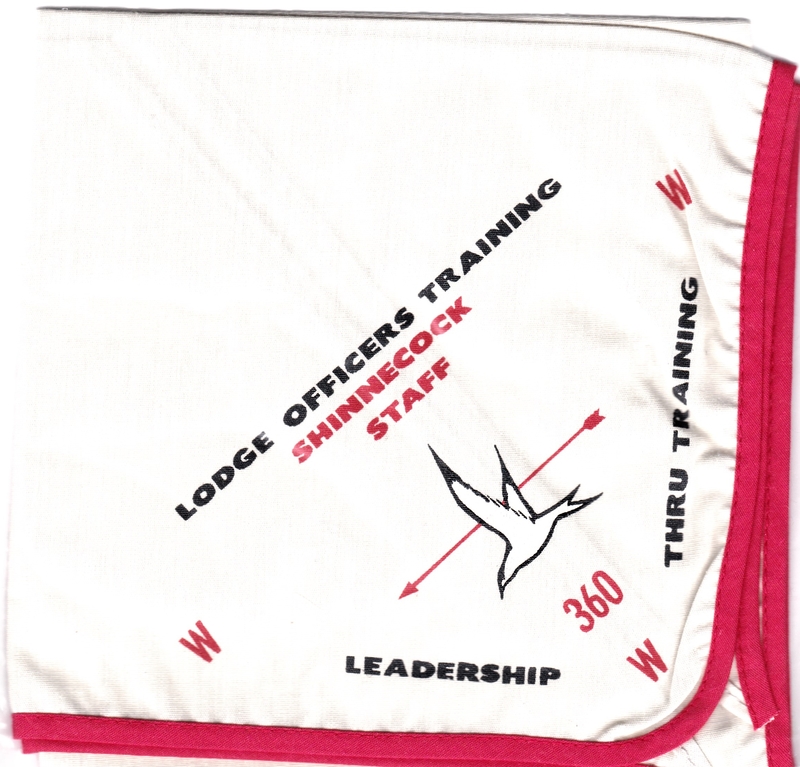 Shown below is a two-piece set from Shinnecock Lodge #360. 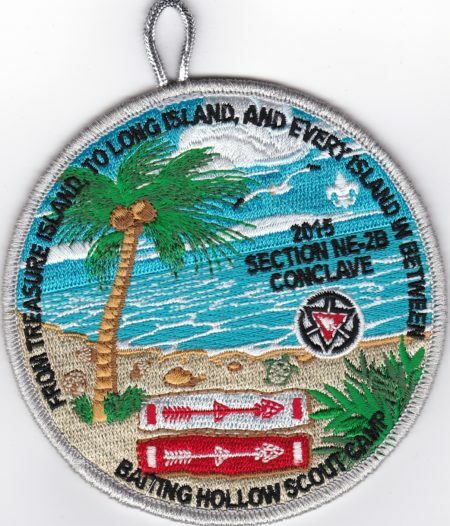 What has your New York State Lodge issued for the 2017 National Jamboree? While I had it on my needs list, I had not seen one; but Matt Schieferstein recently posted to Facebook. 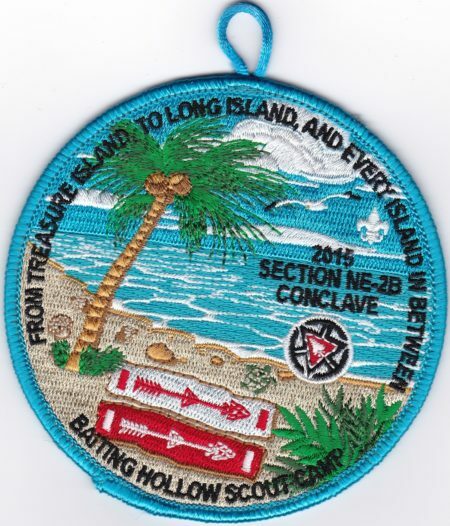 Recently came across this patch…I have the red bordered one and have never seen this gold mylar one. I am thinking we have a new issue. Any thoughts?? 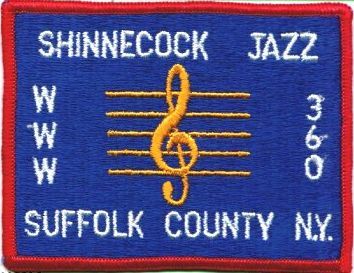 X1.7	GMY	R	BLU	WHT	–	WHT WWW, Shinnecock Jazz, Suffolk County N.Y. Anyone have the GMY border for trade or sale?